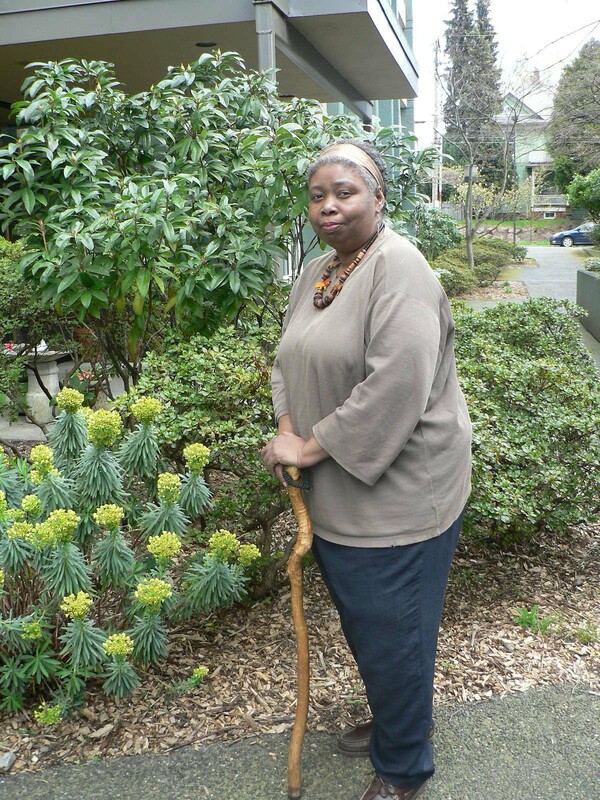 Faustina Robinson, a former participant in Solid Ground’s Seattle Housing Stabilization Services, shared her story with us for our May 2011 Groundviews newsletter. For more information on Seattle Housing Stabilization Services, visit www.solid-ground.org/Programs/Housing/Stabilization-Sea. However, navigating out of homelessness wasn’t easy. 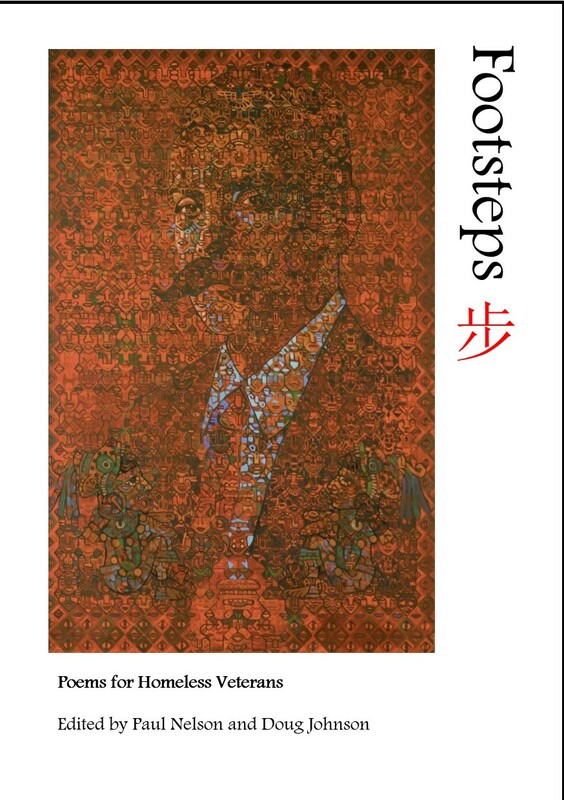 She says, “I had taken all the necessary steps – contacted all the social services, shelters, transitional housing. There’s always some snafu, strange policies. You have to call at a certain time, twice a day.” And with no reliable phone, it didn’t work for her. Finally, she asked her friends to rope-tow her car and park her right outside a housing agency. 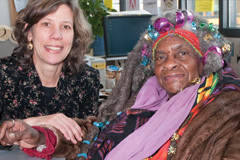 As a person living with disabilities, Faustina did qualify for and eventually moved into a Seattle Housing Authority apartment – but her journey to stability wasn’t over. She says that by the time she contacted Solid Ground, “It revealed that I was dealing with a lot of issues I had not acknowledged. I have a history of depression. But when I was homeless for those two years, not one day was I depressed. I couldn’t understand that! “One doctor said there are personality types that when faced with certain kinds of stress, it releases hormones that almost produce a euphoric feeling. So I had been sucking on that adrenaline rush for two years – and when I got the apartment, the first thing that happened was I crashed. There were days I couldn’t even roll out of bed. It happened so quickly. Working with Sukanya made a world of difference. “One, she believed in me. And she didn’t patronize me. She valued my input and respected my own experiences and perception in the matter. So I felt like I was making a contribution to my own welfare – and that empowered me.” Faustina also learned it’s OK to seek support. She says, “When I need assistance, I really do need to ask for assistance. You can’t always do it alone. And there’s no shame in that. I had been always the one helping others, and now I needed help. “I also had to accept that I had made poor choices in some cases. But, you forgive yourself, and then you move on. Leave your baggage at the door. And it’s OK! Extend the same compassion I had for the people I was working with towards my own self so I could heal. And she helped me do that. Solid Ground helped me do that. For more information on Seattle Housing Stabilization Services, visit www.solid-ground.org/Programs/Housing/Stabilization-Sea. Brettler Family Place opening bash! I would like to first thank Solid Ground for even considering my journey a success story. That’s validation for me, that I’ve worked hard to get to where I am, and that me and my family are more than deserving to be new residents of this beautiful community. My daughters and I went through several different stages of homelessness – ranging from couch surfing, sleeping in cars, hotels, shelters and transitional housing. I think one of the reasons I was able to move forward and overcome my biggest barrier, which was homelessness, is because of the overwhelming support that I received from Solid Ground and all the other staff and organizations that embraced me during my time of need! My caseworker Katie Showalter especially played a big part in keeping me grounded. She found out what my needs were on all levels! She was always there using her words to uplift me and motivate me! She’d say to me, “Joy you are artistic and beautiful, smart and resilient.” She’d use all these powerful words describing characteristics that she’d seen in me that I hadn’t even seen in myself! Katie doesn’t know this, but whenever our meetings were over, I’d always pull out my dictionary and search for the definition to her words of choice, and I’d always feel so awakened and uplifted by their meaning! There’s a quote that says, “The greatest good you can do for another is not just to share your riches but to reveal to him his own.” And Katie has demonstrated just that with her words of comfort and encouragement. She was always there with her mirror telling me to look at myself and love the person I see, and that I am worthy. I’m not sure if you all are fans of Deepak Chopra, but I’d like to share something he wrote about toxic relationships. He talks about the three kinds of people in your life: Those who leave you alone, those who help you, and those who hurt you. People who leave you alone are dealing with your suffering as a nuisance or inconvenience; they prefer to keep their distance in order to feel better themselves. Those who hurt you want your situation to be the same because they do not have your wellbeing at heart. I will no longer bring my problems to anyone who wants to leave me alone. It’s not good for them or me. I will put a distance between myself and those who want to hurt me. I will share my problems with those who want to help me. I will not reject genuine offers of assistance out of pride, insecurity or doubt. I will ask people to join me in my healing and make them a bigger part of my life. Whenever I read this I feel so thankful for the people who’ve played a role in my life and who’ve found ways to help me overcome and move forward. Creating my vision board was another thing that kept me focused. I made my vision board 1/29/2010; we had only been homeless three weeks. But the very first thing that you’re able to see on my vision board is a magazine clipping that reads “Homeless to Happiness.” That remained my vision and my # 1 goal. On March 7, 2011 my vision became reality. I went from being homeless to being stable, and secure, which to me is happiness! Brettler Place to me, means happiness. The beautiful scenery, the view of park, even the green grass and access to the beach have meaning to me. It means family and togetherness! The energy here feels good. There’s a peace of mind here! I have peace of mind knowing that I don’t have to pack my bags in a few months and I don’t have to transfer my kids to another school again. I don’t have to sleep in a car again or call to put my name on a waiting list for shelter. I don’t have to expose my children to unhealthy living anymore!!! One more quote before I go: “Everyone needs beauty as well as bread, places to play in and pray in, where nature may heal and give strength to body and soul.” I have that now and it’s all thanks to you, the Brettler Family, Solid Ground, Mercy Housing, Katie Sholwalter and all of you!!! Thank you so very much!!! While Brettler Family Place ends homelessness for 51 families, we are not quite done with our housing development at Magnuson Park. Stage 2 of this project will include 20 additional housing units for families, as well as 34 units for single men and women, including veterans, seniors and people living with disabilities. The overall cost of the entire project is in the neighborhood of $30 million. Thanks to many generous people and institutions in our community, we are very close to completing our fundraising. In fact, we have just $515,000 in private funding left to raise! If Joy’s speech moves you to help us close the gap, or if you would like more information on the project, contact Ali Friedman: alif@solid-ground.org. JustServe AmeriCorps is inspired and supported by many grassroots organizations working for justice and safety in our community. One of those groups is the Black Prisoners’ Caucus, a group of incarcerated men organizing within Washington State Reformatory, Monroe. Founded in 1972, the Black Prisoners’ Caucus leads workshops and dialogue inside the prison for personal and community transformation. The BPC also hosts an annual Criminal Justice Summit at Monroe, bringing community leaders into the prison to discuss the root causes of crime and violence, and solutions and alternatives to incarceration and recidivism. 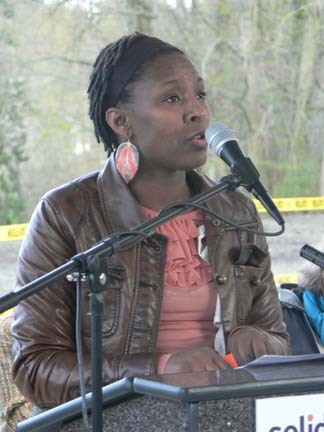 On Saturday, August 14th, 2010 the Black Prisoners Caucus will bring families of the incarcerated together at the Evergreen campus in Tacoma, to connect with each other and with others who are working for social change. Bring loved ones and families of the incarcerated together with community leaders and organizations for available resources, so they can begin to collectively organize and unify as one. Offer a platform for families to address personal issues and experiences with other families, community leaders and organizations in order to raise awareness. Educate families and the community on issues that exist within the criminal justice system that affect the lack of treatment services, rehabilitation programs, proper education and job training availability – all of which contributes to a high recidivism rate among newly released offenders, while connecting families to organizations that provide resources, support and family assistance. Establish an online network (I.C.O.N.) comprised of families, support groups and organizations to assist in their efforts to unite, organize, advocate and collectively work towards a more humane justice system that works for families of the incarcerated and the community as a whole. Food, childcare and transportation will be provided. 1) Spread the word about the Families Summit to your contacts in the community. 2) Get involved in the August 14th organizing committee, helping to get food, drink and other supplies donated for the event. 3) If you have access to a car, sign up to be a volunteer driver helping to transport families to the event. For more information, please email bpc@blackprisonerscaucus.org, call Cammie Carl at 206.619.4655, or call Sherrell Severe at 206.937.2701. FiftyOne Marketing is teaming up with a lot of great people and organizations for a great cause. 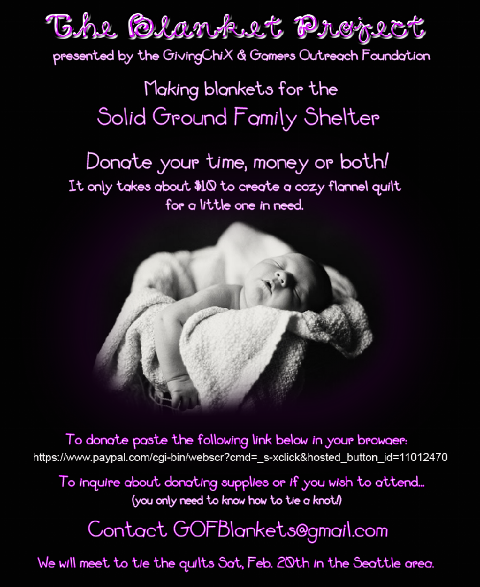 GivingChiX, a division of GamerchiX, and the Gamers Outreach Foundation are teaming up with Microsoft MVPs around the world to make baby blankets for Solid Ground, an anti-poverty and social service organization in Seattle, Washington that helps women, children and families overcome homelessness. Every penny counts…when you are building a new generation of philanthropists! 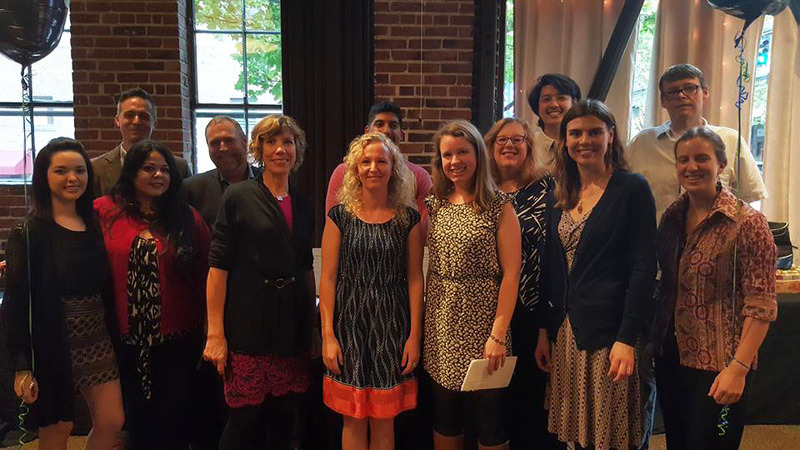 The United Way posted a great bit about our Penny Harvest Program on their blog. Here’s a link. 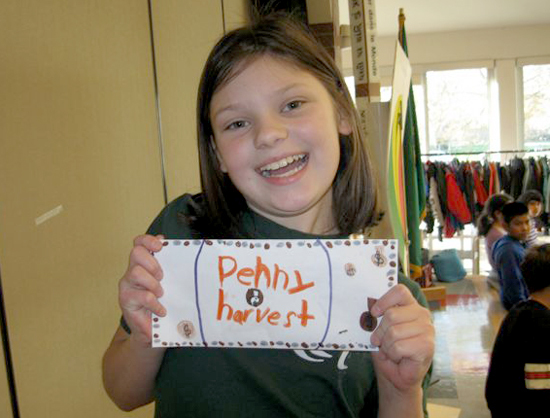 Penny Harvest builds excitement for philanthropy!